Preheat oven to 400°. Toss cabbage, onion, apple, thyme sprigs, vinegar, 1 Tbsp. 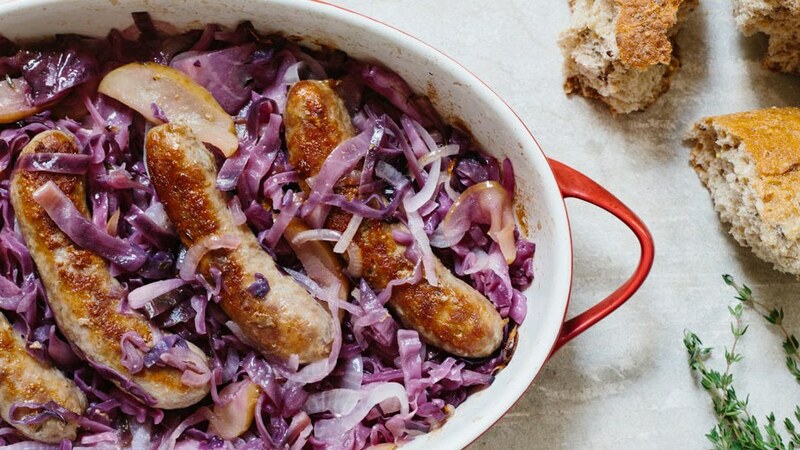 oil, and 1/4 cup water in a 13x9" baking dish; season with salt and pepper and roast, covered, until cabbage is wilted and softened, 35–45 minutes.